I’m in looooove with my boots!! They are comfortable too!! 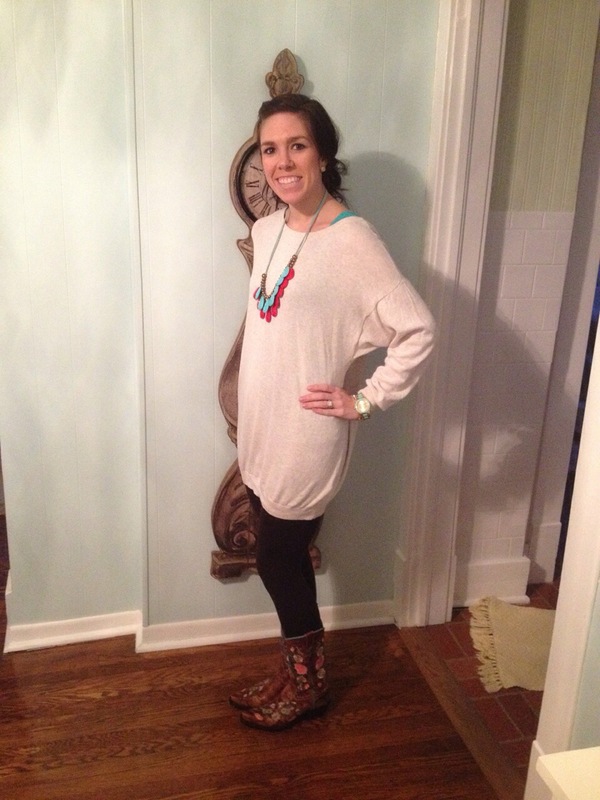 Cowboy boots usually take a while to break in, but these ones are actually comfy!! My sweater is from H&M and my necklace is from a local boutique!!! Sweater: H&M, no longer available, but I really like this one!! Necklace: local boutique, this one is fun!! Hope everyone had a great Monday!! 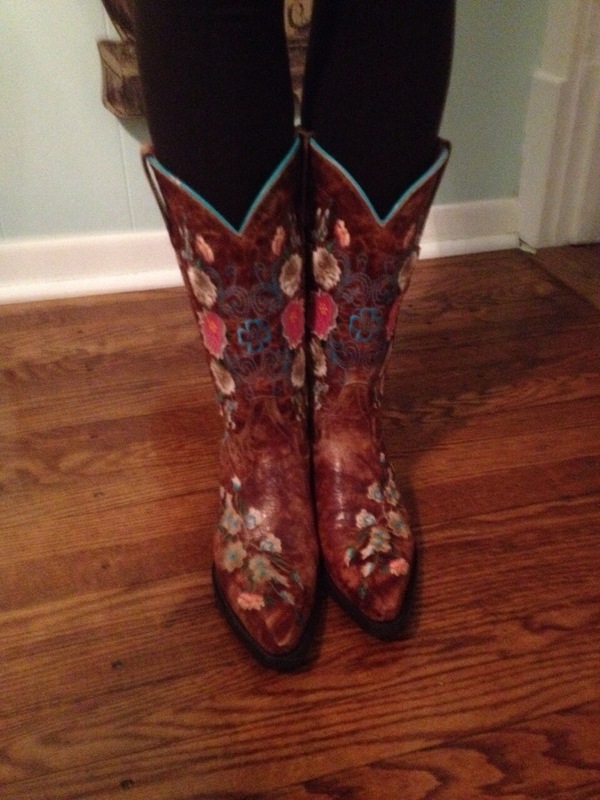 Love your boots, I bought a pair of Ariats also from Cavanders last fall and I love love them. Thank you so much!!! I’m in love with cowboy boots!!! I wear them all year round!! !